Kid, I've flown from one side of this galaxy to the other, and I've seen a lot of strange stuff, but I've never seen anything to make me believe that there's one all-powerful force controlling everything. There's no mystical energy field controls my destiny. It's all a lot of simple tricks and nonsense. Now, I have never heard anyone ever say that God is light. (By the book of Genesis, God created light, and so precedes it.) I think Keel was just making that up. His point, though, is to assert that God is simply energy, electromagnetic energy that exists on an electromagnetic spectrum, in other words a continuum. That's the point of this book, too, that all energy--in other words all phenomena, including Fortean phenomena--exists on a spectrum, one that he calls and describes as the superspectrum. 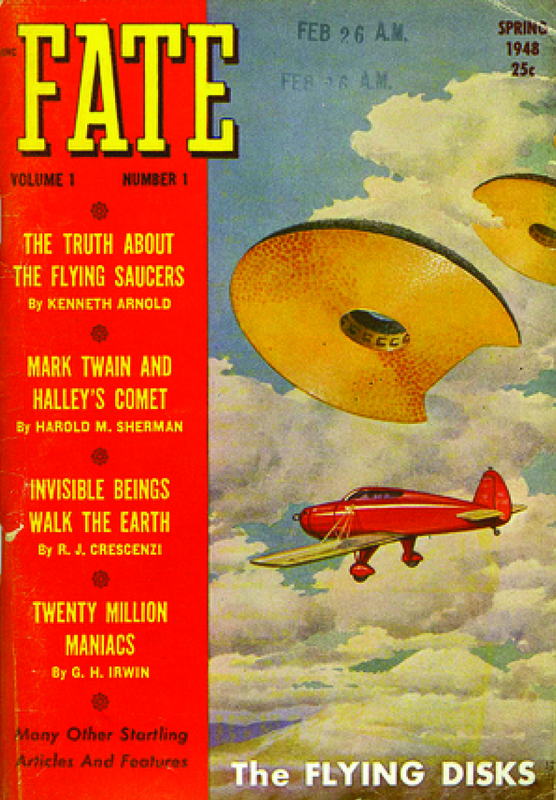 According to John Keel, then, all phenomena--Fortean phenomena and non-Fortean or scientific phenomena alike--are continuous. The procession of the damned shall, by this scheme, gain entry into the halls of the un-damned, and all things, which were once discontinuous, shall be continuous again. Keel, who I believe was an agnostic at best, also sought here to reduce everything supernatural to the merely material. In any case, the Fortean notion of continuity vs. discontinuity is the theme of my series on Barker and Bender, a series that will eventually go well beyond them and into the coming spring. The Cosmic Question, by John A. 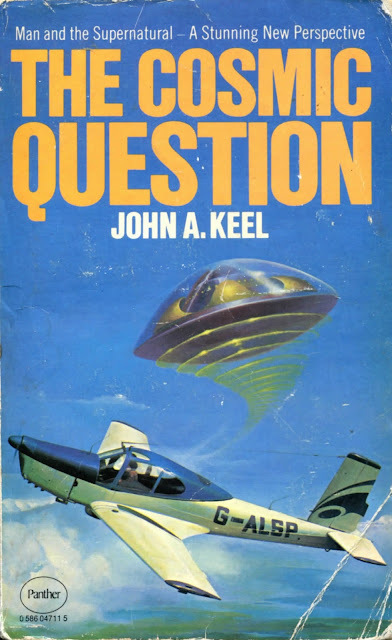 Keel, published by Panther books in 1978. Peter Jones' cover art recalls the image of Kenneth Arnold's famous encounter with the first flying saucers over Mount Rainier in 1947, shown below on the cover of the first issue of Fate, from 1948.